Hey folks, today I have the pleasure of interviewing J.P. Lane, or Joan as her friends call her. J.P. is an author of mysteries and thrillers with a romantic element. Let’s see what surprises she has for us today. Rachelle: If you had one word to describe yourself, what would it be? Rachelle: Now, why did I say one word and you actually gave me one word? That usually doesn’t happen to me. Can you elaborate? Joan: It means I’m a person who’s always aware there’s a whole world out there – beyond my immediate community, beyond this country. I’m addicted to Twitter because when I’m on Twitter I get the sense the whole world is gathered in one place. A few nights ago a follower in Scotland retweeted one of my tweets. I looked at my clock, because I was curious about what time it was in Scotland. It was just after 4:30 a.m. I tweeted him a thank you and added “you’re up late.” He tweeted back “not late, it’s early here. Good morning!” I think it’s pretty wonderful to be able to communicate with people anywhere at any time. Rachelle: How true that is. I have to keep remembering my friend in Australia is not just in a different season from me, but my bedtime is her getting up time and my morning is her bedtime. You were born in Jamaica and you’ve lived in several other countries. Do you think that contributed to your global point of view? Joan: Definitely. And my parents had a lot to do with my acceptance of other cultures. I traveled with them from an early age and my father was a big advocate of “When in Rome, do as the Romans do.” For instance, my brothers and I were never allowed to complain about food we didn’t like because we weren’t accustomed to it. We just had to go with the flow. It probably sounds a bit strict, but it gave me the adaptability that allows me to be reasonably comfortable wherever I am. Rachelle: I actually agree with them. Besides, Jamaican food is absolutely to die for. What was it like growing up in Jamaica? Joan: For me? Idyllic I suppose, though I didn’t realize it then. I had a big family – two brothers and twenty-three first cousins, most of them like brothers and sisters. We were all close. It’s difficult to describe what my life in Jamaica was like up to the time I left at 29 years old. You’d have to come with me for a visit. It would be easier to show than tell. Let’s just say I didn’t have a care in the world. Rachelle: Hopefully I can read a bit of that in your stories. Is Jamaica the nameless island in The Tangled Web? Joan: Yes and no. I use Jamaica a lot as the backdrop to the story, but some of the locations in the book are fabricated. And although Jamaica was a major cocaine transshipment center at one time, the story could be about any Caribbean country. There was a lot of that going on in the Eastern Caribbean too, and the Bahamas. In fact, a lot of the stuff about the cocaine industry in the book is factual, like the Medellin Cartel paying officials in Cuba’s Ministry of Interior six million to transship six tons of cocaine through Cuba to the States. It was fascinating research. I had no idea what a huge business cocaine is. The Tangled Web ranked #14 in Romantic Suspense in the free Kindle category about a month ago. So far, this sounds more like a thriller than a romance. Rachelle: Nice! I’m sure you can get several good tweets out of that. 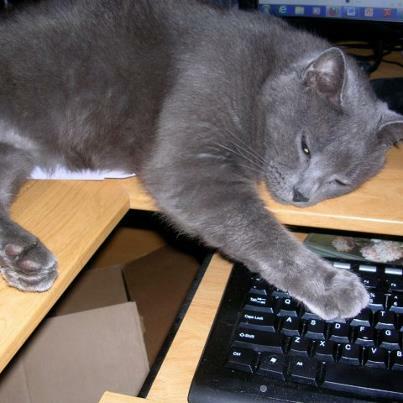 Now that The Tangled Web has been published, are you working on anything else? Joan: If I could tear myself away from Twitter for ten seconds, I could get past the 28,000 word mark on the historical novel I’m writing. But I have big plans to retreat back into my cave and write for a while. Could be a few months, could be into next year. A book’s finished when it’s finished. I don’t want to rush this one. It’s got too much potential. Rachelle: Again, I agree with you. You give up depth with rushing. The flavors don’t mingle and absorb, staying on the surface. Take time out to savor what life offers, eh? So, what do you do in your spare time? Joan: That’s a trick question, right? What spare time? Okay, in an ideal world I’d be painting a canvass or two, doing a few stained glass pieces, gardening, canoeing on the river, travelling more, and spending more time with my very smart, absolutely adorable two-year-old grandson. Grin. I suppose every grandmother thinks their grandchildren are the cutest. Rachelle: Definitely. I’m surprised you didn’t mention reading. Do you find the time to kick back and read a good yarn or are you always engrossed in your own stories? Joan: Yes, I read every night, for an hour or two before I go to sleep. That means I go to sleep late, but I feel as if something's missing if I don't read every day. I read both fiction and non fiction. Ironic you should ask that question though, because the book I'm reading now just happens to be your Michal's Window. If you think I'm spinning a yarn, go check Goodreads. It's listed there as the book I'm reading. I don't write reviews, so I'm not going to review it, but since I mentioned it, I'll tell you I'm enjoying it a lot. Rachelle: Cool! I’m glad! I enjoyed this conversation. The Tangled Web is all the more richer from your varied life experiences. 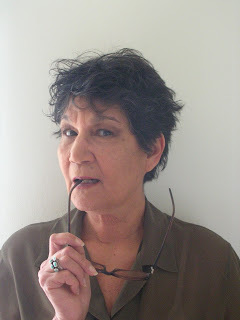 Joan: Thanks very much for this opportunity, Rachelle. It’s been a pleasure. A drug deal gone sour, an island in the cross-fire of a drug war, a paid international assassin on the job. Can entertainment tycoon Logan Armstrong and investigative reporter Lauren Anderson untangle themselves from the web of intrigue they’re caught in? Great interview, Rachele & Joan! Interesting observation of how men and women read THE TANGLED WEB differently. I have to go back and read 'the good parts' again, just to think about that! Love the interview. 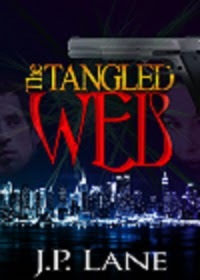 I like romantic suspense, I will have to check out Tangled Web. Fun interview. "Tangled Web" is on my wish list. Interesting interview Joan and Rachelle. Funny, when I read the book I didn't picture Jamaica. There are so many islands the story could fit and that's what makes the story so intriguing. You said the food is to "die for" and I thought I would die when I tried sprinkling the hot sauce that sat in a bottle on the table. SOOO hot I drank water for two hours. To die for and then some. That's hilarious, though shouldn't be laughing at your pain. I'm out of that hot sauce right now (: Can't get it where I live. Glad you didn't identify the island as Jamaica. It was intended to be anonymous, because, as you say, the story could fit any island. Thanks again for reviewing the book - and for checking out this interview. Joan, congratulations on your high ranking in Romantic Suspense! Thanks, Clare, and thanks for this fun interview.